2 and 4 run wide, flatten to corner. 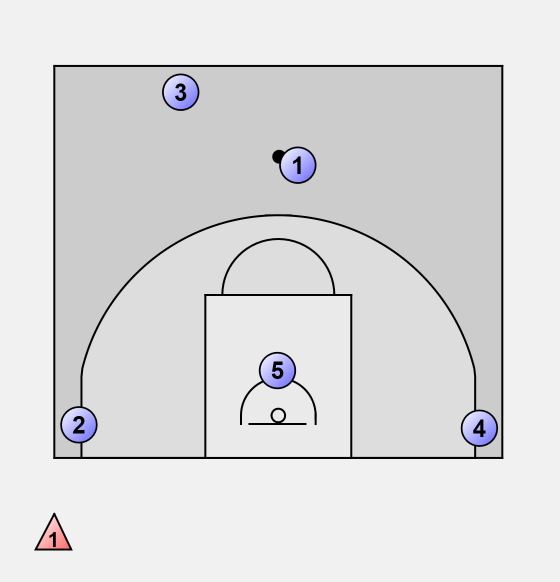 3 is trail, goes opposite ball. 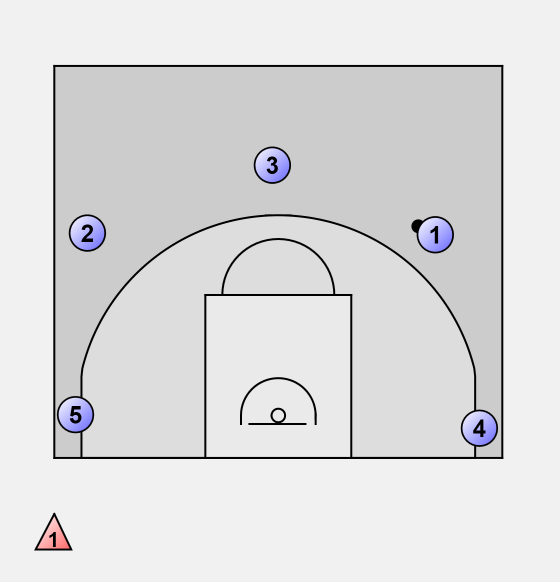 5 goes corner opposite ball. 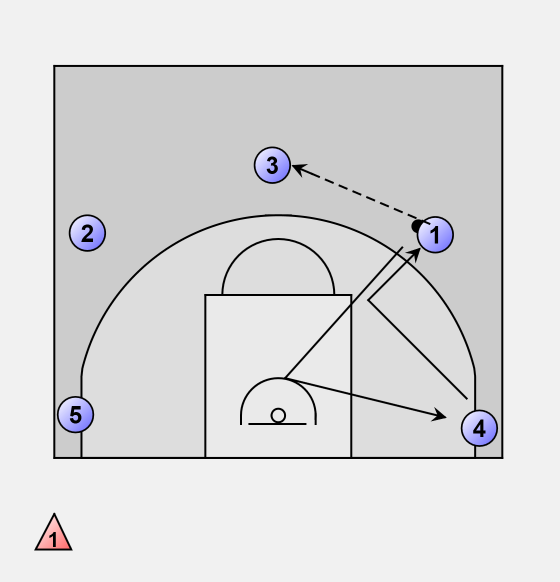 3 takes the guard position. 2. Any time the ball is dribbled, we are into penetration principles. 1. All cuts go to the front of the rim, then empty out to the corner. 2. Fill any open space in front of you. 3. Get to the level of the ball on all cuts (to force denials and create back cut opportunities). When 4 cuts there are 3 options. 2. 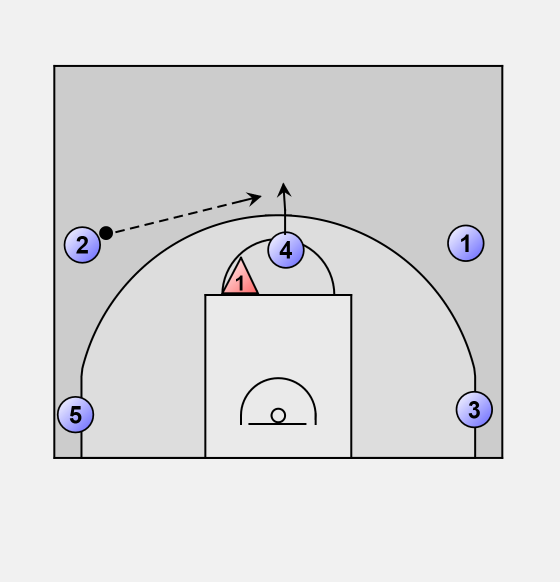 If defender is level to or above 4 = back cut. 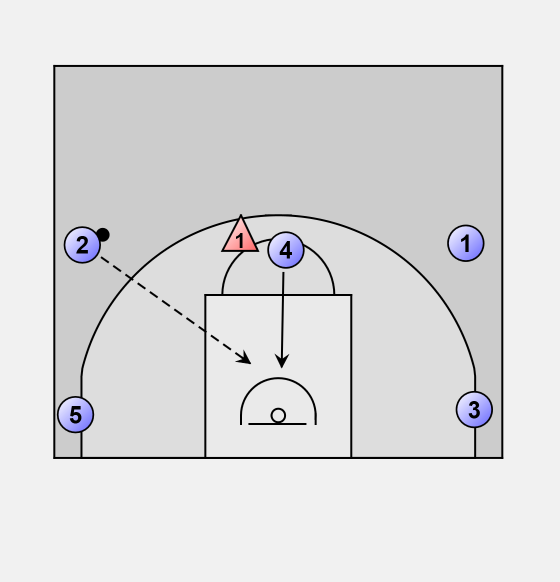 If defender plays below or sage, pop outside the 3pt line. 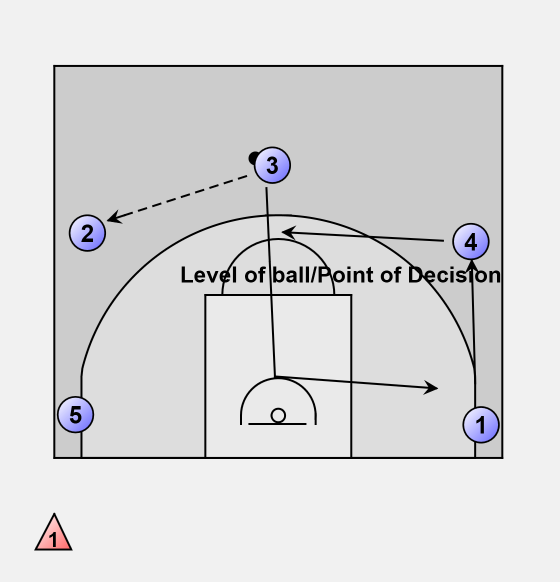 Shoot, make a play, or reverse the ball.